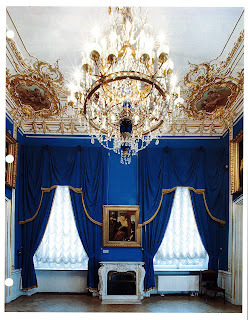 During his visit to Saint Petersburg in October 1866 for the wedding of his sister-in-law to the future Alexander III, the Prince of Wales stayed on the 2nd floor of the Old Hermitage. 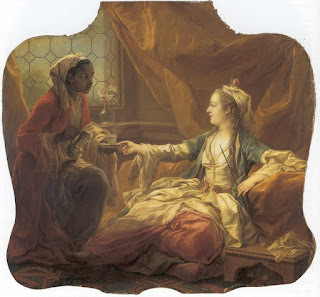 In my post on the prince’s bathtub, Stephilius wrote about the Van Loo painting above the bedroom door. 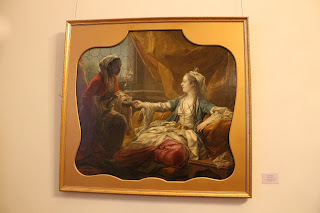 Carle Van Loo’s Madame Pompadour as a Sultana (below) is exhibited today in the Military Halls (283 à 288) on the 2nd floor of the Winter Palace facing palace square (note the frame style). Although not visible in the 1866 photograph, a painting above the door to the petit salon opposite was Van Loo’s Madame Pompadour Embroidering (below). very appropriate paintings for the prince of wales. 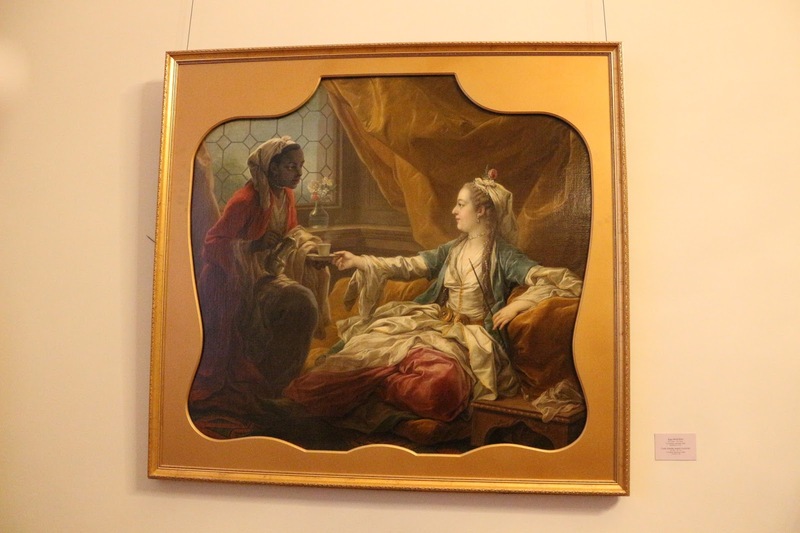 Was the painting cut out of it's original frame? 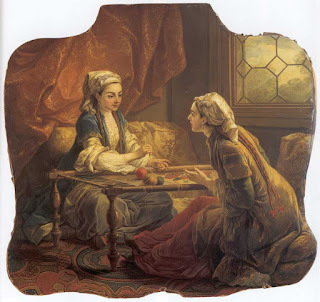 Perhaps the frames were separated from the paintings during the evacuation of the Hermitage / Winter Palace prior to the siege of Leningrad. 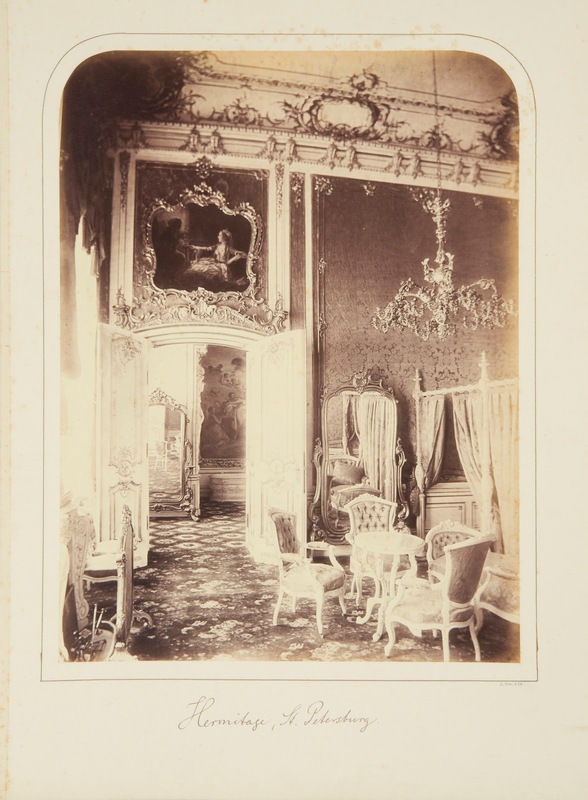 The frames c1866 were boiseries, intricate raised wood designs that were gilded. It looks like a normal frame.